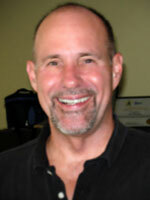 Mark A. Canfield, Ph.D., is the Co-Principal Investigator for the Texas Center. Dr. Canfield is the Manager for the Birth Defects Epidemiology and Surveillance Branch at the Texas Department of State Health Services. In addition to being a National Birth Defects Prevention Study (NBDPS) investigator, Dr. Canfield oversees most administrative (i.e. budgetary and contractual) aspects of the Texas Center for Birth Defects Research and Prevention. I am interested in: (1) neural tube defects; (2) anotia/microtia; (3) genital defects; (4) newborn screening disorders; (5) racial/ethnic disparities of birth defects; (6) birth defect outcomes; (7) folic-acid preventable birth defects; (8) risk factor prevalence; and (9) epidemiologic methods. What are your hopes for the study? It is my hope that the study is responsible for novel findings that end up being replicated elsewhere. How long have you worked in this field? On the NBDPS? What is most rewarding about working for the NBDPS? Collaborating with and learning from some great investigators throughout the U.S.
Canfield MA, Ramadhani TA, Shaw GM, Carmichael SL, Waller DK, Mosley BS, Royle MH, Olney RS, and the National Birth Defects Prevention Study. Anencephaly and spina bifida among Hispanics: maternal, sociodemographic, and acculturation factors in the National Birth Defects Prevention Study. Birth Defects Research (Part A) Clinical and Molecular Teratology. 2009;85:637-646.